If there is anyone who is well aware of all the latest fashions and trends, it’s the celebrities. But they are not famous for following the trends – they are mostly the reason behind the trends in the first place. Models, singers and actresses, they all are up to their necks in the fashion world. And when we say fashion, we cannot just move past without uttering the word Kardashians. Hate them or love them, nobody can deny the fact that the Kardashians/Jenner girls know what they are doing when it comes to fashion. From the eldest to the youngest, from mother (and father) to daughters, they all have been behind one or two of the currently raging trends in fashion. Many say that Katy Perry and Adele might be the reason behind this newly revived obsession of false lashes, but if Instagram’s count of over a million followers has to say anything, it might be the youngest of the Jenner girl, Kylie, who is the reason behind this false lashes storm. The girl made the concept of false lashes look cool. Previously, women were actually ashamed of accepting the fact that they were sporting a pair of falsies. Kylie, however, made it seem like a really fashionable thing and nothing to be ashamed of, which is kind of ironic considering the fact that her false lashes barely seem false at all. They are so natural looking and light that if not for Kylie accepting it herself, nobody would have believed that she was wearing false ones in the first place. Girls across the globe have been impressed by Kylie Jenner’s eyelashes. Many have tried to mimic the look and many are still struggling to achieve just that. It’s a common belief among women that, in order to replicate the look of a celebrity like Kylie Jenner, one might need to be in possession of wads of cash. That’s not true; it’s quite easy to get the exact Kylie look with the help of the red cherry eyelashes. Pretty sure this statement might have raised many eyebrows and a list of questions too. How to get the Kylie look with Red cherry eyelashes? Let’s follow these instructions, and at the end of the day, you might be looking into your own eyes, but you’ll definitely be sporting Kylie’s style. There are a wide range of Red Cherry lashes out there, and you need to choose the right one for yourself. That’s exactly what we’re here for. Yes, arm yourself, not with a weapon, but with the Red Cherry Eyelashes #WSP. This is made of 100 percent human hair. The hairs on the lashes are criss crossed, exactly the way a natural eyelash looks like. 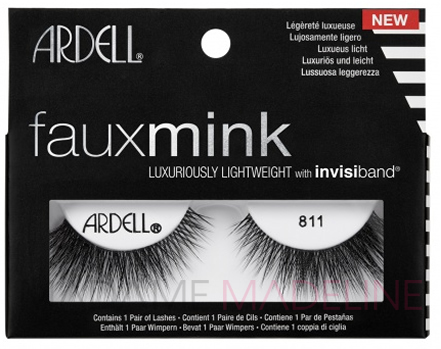 They are very long though and best suited for large or almond shaped eyes. 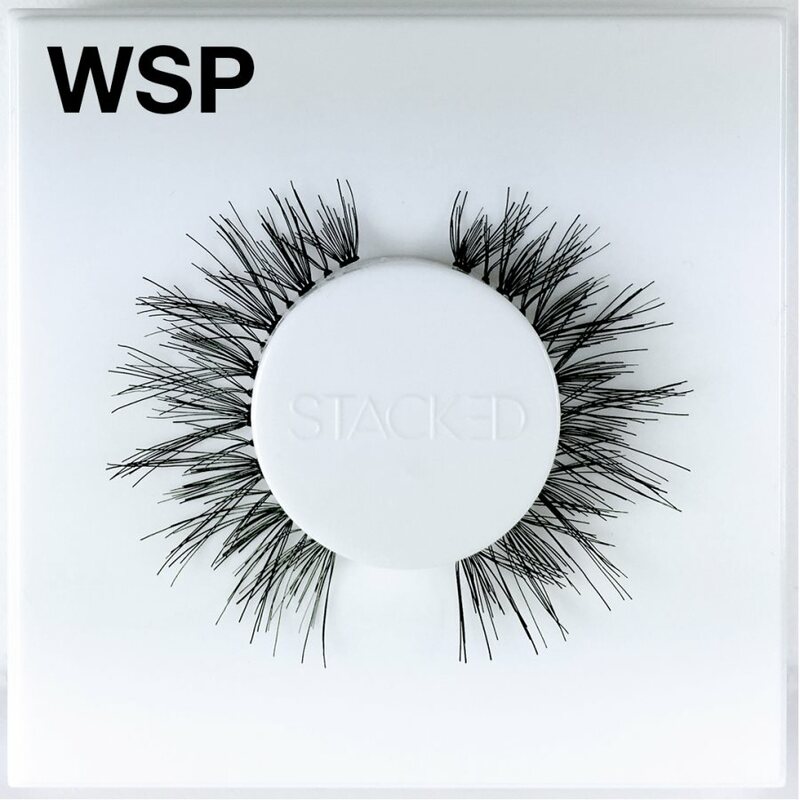 #WSP is the one with longer lashes and #DW is the one with shorter lashes. Select the size according to the size of your eyes. Do remember that longer lashes look natural on few types of eyes so it’s better to go for the shorter one since we are attempting to go for a natural look. Extra long lashes will give a fake look which is not something we are planning for. These lashes will make everyone confused, for they’ll think you are going around with your own natural lashes, only they seem a lot darker and thick – but totally natural. If your eyes are very small or you already have dark eye color and do not want to attract any more attention to the lashes, or if you just simply prefer a lighter look, go for the #DEL. They are also crisscrossed natural looking pair of falsies but much lighter than the other two. If you are going for #DEL lashes, then it can very easily be paired with other lashes. For example, #DW and #DEL can be layered together to give off a sophisticated double stacked look yet still very natural. Even when these two are layered together, nobody will be able to detect the false lashes vibe because Red cherry lashes are as natural as they come. They are longer, but they too come with criss crossed hairs just like one would find in their natural eye lashes. This one however is more suitable for an evening out, or any event that demands a little glamour. They make the eyes stand out and give a beautiful look to the wearer. A perfect length. Not over the top but not too small that it looks ordinary. This one is exactly like #523 but for people who are not yet comfortable with long lashes or they simply look much better with shorter lashes. They are also highly recommended for all since they are evenly spaced out from in-between and also give a natural look to the eyes. Elegant yet very natural. They are sparser and not tightly spaced since less space is what makes false lashes look totally, well, false. 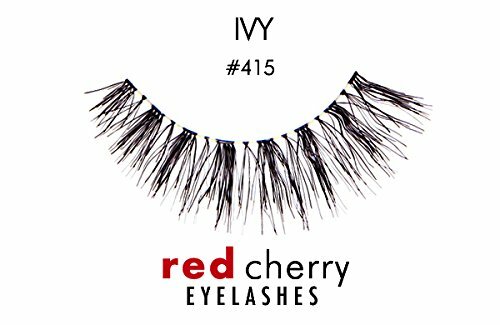 The #747 Red cherry eyelash series comes in three sizes. The #747S -#747M- #747L. Small, medium and large. Choose from among the size that you are going for. Small is lovely for everyday use, it is tightly packed together but mold perfectly with the real lashes. Medium is slightly longer just to add a flare of glam. The longer one will surprise many. It is difficult to achieve the long and natural look simultaneously, but #747 L manages to let one pull off both with panache. So even though you are wearing a long lash, it will still feel natural to wear and natural to look at. Last but certainly not the least; Demi Wispies (DW Lashes) are the most popular range of Red Cherry eyelashes. They are not too long even shorter than medium which makes them the perfect choice to wear for everyday use. They are also curled at the end which again gives them a natural and pretty look. They could also be paired with #402 to make it look a little bit fuller and thicker. Kylie Jenner’s Super Long Fake Eyelashes!! Secret Techniques to Make Your Fake Lashes Last Longer – Sshhh Girls! !